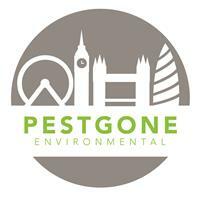 We at PestGone Environmental strive not only to make your problems go away, but to ensure you receive the best possible service from trustworthy, professional and approachable technicians. We are run by former military personnel so you can rely on us to be at the right place, at the right time with the right kit! So whether you have rats, mice, pigeons, cockroaches, woodworm, bedbugs, wasps, or any other unwanted visitors know you’re in safe hands! PestGone Environmental separate from others by our unique personal and caring approach. With our ability to work as individuals and more importantly with you our clients, we can achieve the highest level of customer care and the highest standards of work. PestGone Environmental also have staff who are trade trained in electrical engineering so we can deal with most other needs when dealing with pests. As well as tradesmen we boast having environmental Health and Safety advisors who can give technical support and help where required.